After completing the Bar Professional Training Course, Kate worked at a specialist criminal defence firm in London. She specialised in confiscation law throughout her time at the firm and developed a detailed knowledge of the law relating to the Proceeds of Crime Act 2002. Kate also worked on extradition cases in the Magistrates’ and High Court. Prior to starting pupillage at Foundry Chambers, Kate spent six months interning at the Office of the Federal Public Defender in California and a non-profit organisation in Houston, Texas, assisting attorneys working on death penalty cases. Kate was involved at both the pre and post–trial stages, collecting records and visiting clients on Death Row. Most notably, Kate assisted attorneys with a successful application for a stay of execution in a case involving false testimony. Kate has also volunteered at the Personal Support Unit, assisting litigants in person in civil and family law matters. She has experience dealing with vulnerable witnesses and clients attending court for the first time. 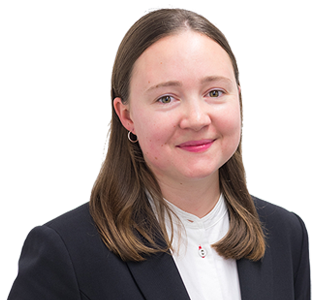 During the first six months of her pupillage Kate assisted David Smith secure the acquittal of a client after a three month long trial for conspiracy to supply controlled drugs of Class A. She has also assisted the successful prosecution and defence of a variety of other serious cases, including historic sexual offences. Kate is currently supervised by Warwick Tatford.